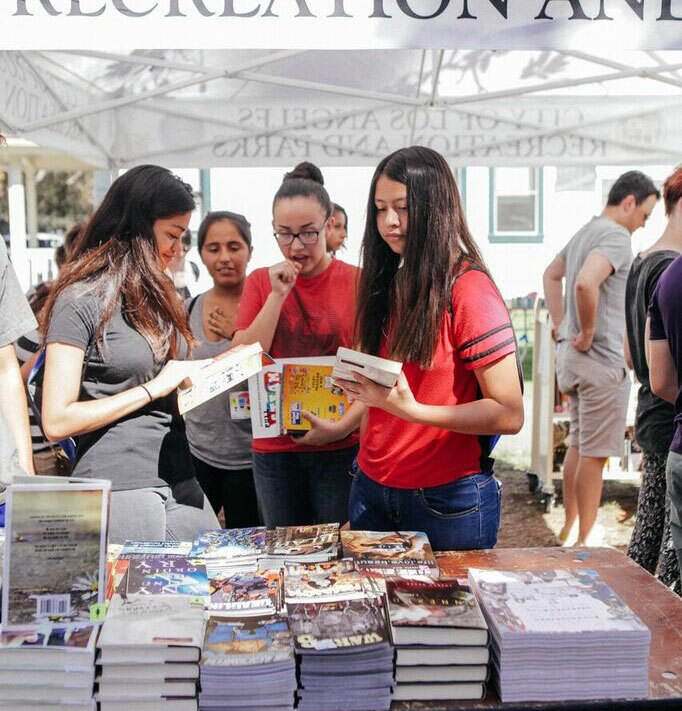 Teen Literacy Events and Teen Literacy Centers across Los Angeles. The Book Truck holds Literacy Events throughout Los Angeles and every year, we give thousands of books to teens in underserved communities. We bring our truck to events at high schools and teen service organizations all over the city. The Book Truck also plans special visits to larger youth resource fairs such as United Friends of the Children’s College Within Reach and Foster Care Counts’ Foster Mother’s Day Celebration. Our Literacy Events are staffed by trained teen volunteers who come from all across LA, including from the communities we serve. If you are interested in inviting The Book Truck to your school or organization’s event, apply online. We are pleased to announce that we are now building interactive Literacy Centers for teens. These centers are equipped with literacy materials and a complete giveaway library. We utilize trained teen volunteers to put together and maintain these centers so that they remain relevant and accessible to teens in the communities served. Our Lit Centers remove the barriers to reading so that even the most reluctant reader picks up a book. As always, we give books with a “no strings attached” policy. Because our goal is to get books into the community, kids are welcome to return and exchange books from the collection, share them with peers in their neighborhood, or keep them for themselves. What our teens are saying.